The insides of your teeth are composed of dental pulp, which is a network of blood, cells, nerves and tissue. When your teeth become broken or fractured, your dental pulp becomes exposed to bacterial invasion. This condition can be extremely painful to endure. 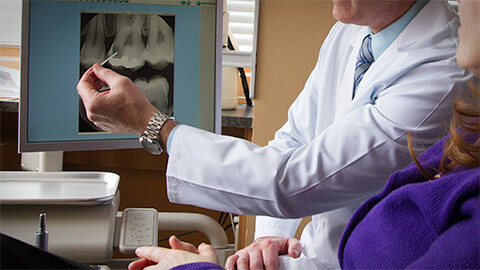 Endodontics is the area of dentistry that focuses on the treatment of your dental pulp. Endodontic therapy, otherwise known as a root canal, is a safe and effective surgical procedure that involves clearing the infected dental pulp from your teeth. Once the affected pulp has been removed, your dentist will disinfect the cavity before filling it with restorative dental materials that prevent the recurrence of bacteria. Although the idea of root canal therapy may be daunting, you can be assured that our dedicated, highly-trained staff will be with you every step of the way, and make sure the procedure is a quick, safe and as painless as possible. If you need more information about Endodontics in Coldwater, contact us today.